Looking for more local spots in Paris? Make sure you get yourself a copy of our 2019 INSIDR Free Paris Travel Guides! 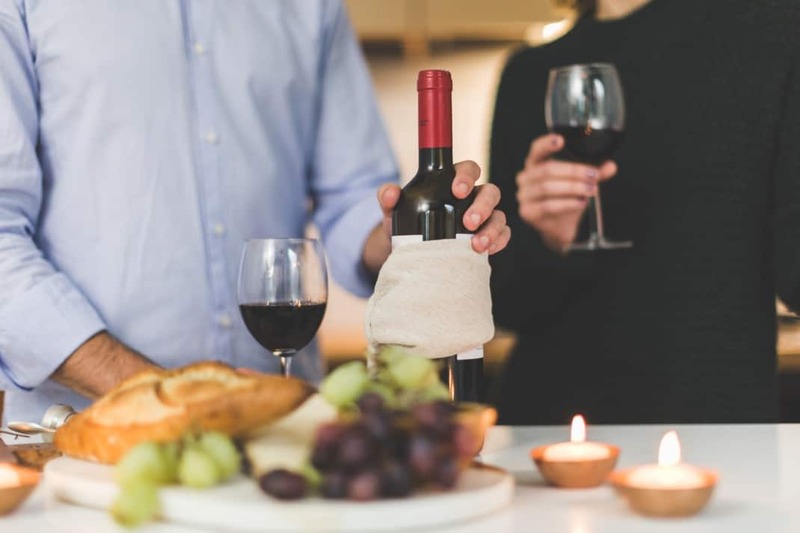 While you are visiting a wine country like France, it might be a good idea to try new wines, join some tastings and enjoy the accessibility of such quality wines. Fortunately, Paris has great options for “cavistes”, the people who have notable wine collections and who work as a small to medium scale wine merchant. It is no doubt that when you are in Paris, you will be trying French wines with different styles and from different regions. You might want to take some home. You could also enjoy it during your stay, at a picnic or cozily at your hotel room. For you to have the best experiences possible, here is INSIDR’s selection of the best independent wine shops in Paris! Ma Cave Fleury is a family owned wine shop and bar in Les Halles neighborhood in Paris. The shop is best known for their own organic and biodynamic Champagne production. Along with an extensive Champagne collection, they also have very selected red and white wine menu. From many small producers to well-known wines, you might find many different tastes and grape varieties from all over France. All Champagne on the menu is available by the glass which gives you a great chance to make a small tasting on your own. Since you are able to buy whatever you liked from the menu, it is a great chance! At Ma Cave Fleury, Morgane creates a very welcoming ambiance and she makes sure you enjoy your time and also your wine! The setting is very quaint and cozy both inside and outside of the shop. Along with your wine, you can order bite-size snacks, cheese or cold meat cuts too. Especially if you are looking forward to tasting organic and biodynamic wines, this is your place to visit in Paris. Les Petits Domaines is a central wine shop located only a few minutes away from Tour Eiffel. Along with local, organic and biodynamic wines in their collection; they have a very interesting selection of whiskeys from all over the world. The owner Isabelle carefully selects the wines for the shop, it is almost impossible to find them in supermarkets. The wines come from passionate producers of France, producing natural, biodynamic or organic wine. According to your preference and liking, Isabelle can recommend you one of the best wines that you can drink in France. If you want to go further with your wine experience, you might want to join the tasting. Each Saturday, there is a different theme or a region they focus on. After a visit to Tour Eiffel early on Saturday, you might stop at Les Petits Domaines to learn more about local French wines and enjoy a pleasant tasting with amazing knowledge of Isabelle here. If you enjoy drinking sparkling wine and are a little bit curious to know how it is produced, you’ve probably heard of the Charmat method. The Charmat method is a production technique used for sparkling wines. It was invented in 1907 by Eugene Charmat who was a French agricultural engineer. Most Prosecco producers still adhere to this technique today. Philippe, Caves de Passy’s owner, is no less than the inventor’s grandson. Wine knowledge runs in the family! He opened this cellar-shop in the 80’s and it is still going strong! Since Philippe has grown up in the wine business, he will surely help you build up your wine skills and guide you to pick the right bottle. Dégustation privée aux Caves de Passy pour tester l’atelier d’un #5a7chezmoncaviste ! L'occasion de (re)découvrir les @vinsdulanguedoc 🌱🍇 mais aussi une cave parisienne qui ressemble à une caverne d’alibaba avec ses cartons et ses vins partout partout! 📦📦🍷😉 Merci pour ce chouette atelier et toutes ces explications ! He regularly attends professional wine tasting sessions throughout Paris and this results in a carefully crafted “off the beaten track” wine selection. Of course, Philippe also has some famous Bordeaux and Burgundy bottles as well as many high quality varieties of whisky, gin and other types of spirits. Don’t hesitate to pay a visit to Philippe, he might organize an impromptu tasting! Julhès is an eclectic specialty food and wine shop – which is known as épicerie in French. There are different locations all over Paris focusing on different themes including cheese, charcuterie, pastry, chocolate, appetizers, tapas, spices, tea and of course wine and spirits. Each shop will offer you an intriguing gastronomic experience for you in Paris. There are many different types of products available in terms of wine and spirits in each location. Including Millésime Champagnes, renowned whiskeys, and small producers from France and also wines from different countries can be found at Julhès. In each shop, you will find something exquisite to taste and discover. Especially if you are a traveler in Paris, this shop might give you a great insight into French gastronomy with all these quality products from cheese to chocolate. In order to attend the tastings and wine pairing workshops, just check their schedule or ask the upcoming programs at the shop.